Shopping for Iron Maiden Artwork? Commemorate the 2nd album ever to be released by Iron Maiden - Killers! 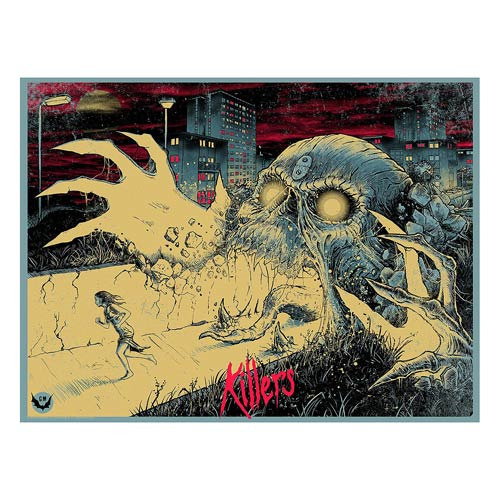 This Iron Maiden Killers by Godmachine Silk Screen Art Print features an amazing image based on the album of Eddie trying to eat a girl who runs through a city street wearing a nightgown. A limited edition of 250 pieces measuring 24-inches wide x 18-inches tall, this beautiful piece of art even includes artist Godmachine's authorized signature!